This is the card I made for my dad. 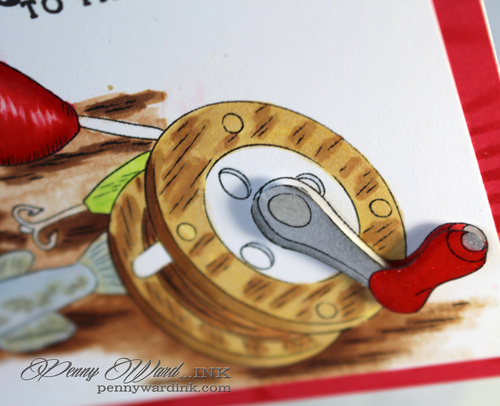 He loves to fish and I found this beyond adorable digi stamp at Doodle Pantry. 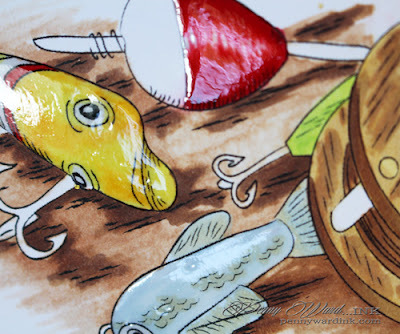 I colored the images with Copic markers, then colored and fussy cut a second handle (I am sure this has another name, but alas, I am not a fisher person) popping it up with foam adhesive. I coated the lures with irRESISTible Pico Clear to give them a nice shine. Fabulous coloring on this card. At first I thought you had used a precolored digi. You do have talent. Guess that's why I follow your blog!!! This looks like a painting - so artistically done and super impressive!! 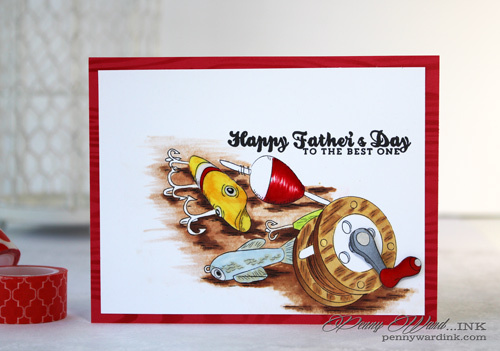 It would be perfect for my dad too - he loved to fish! !